Pre-conference workshop (full day): Jake and Brianna will be back at ELMLE's annual conference to present "Synthesize! Building synthesis skills through student dialogue activities" in Amsterdam on January 18, 2018. They will also be speaking about "Talking in Teams" at the plenary session on January 20! In February, Brianna will return to ACS Hillingdon for two full-day workshop sessions with teachers from across the campus. Full-day workshop! ELMLE's annual conference in Vienna will include a pre-conference day of Talking in Class on January 26. Participants will be the first to receive the updated 2017 version of our Conversation Skills Activities workbook! "In-House," the e-publication of ACS International School's Centre for Inspiring Minds includes a feature on Talking in Class in its June 2016 edition. 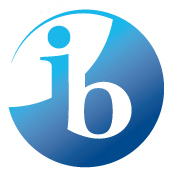 An IB World Magazine blog post on Talking in Class research is now available on the International Baccalaureate Organization's website: "When the student becomes the teacher." Published! ‘Talking in Class’: School-based approaches to enhance the impact of teacher inquiry across an organisation in issue no. 44 of Open Education Europa's academic journal, eLearning Papers. ECIS's 2015 annual conference in Barcelona will include a 90 minute Talking in Class workshop on Saturday, November 20. European Council of International Schools. The July 2015 ASCD Express issue on "Words, Words, Words" features video of Talking in Class in action: Talking in Math. A first TiC "mini workshop" will be held to work with the faculty of ACS International School Cobham Middle School on June 3, 2015. Jake and Brianna are guest bloggers this month on ACS International Schools' Heads' Blog with their post "Student Talk." Talking in Class has joined the Edutopia community! Join the discussion on their first contribution on student dialogue: "Talking to Learn: Harnessing the Power of Student Conversation." Coming soon! 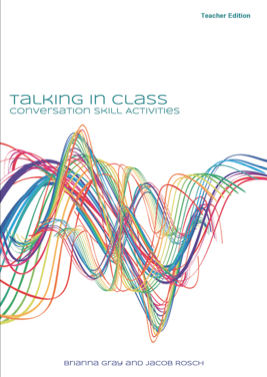 The Talking in Class classroom activities workbook, with customizable student dialogue activities and links to the Common Core State Standards, has been sent to the printer. Look for it at the next TiC workshop! Brianna and Jake are excited to return to the ELMLE annual conference to present a Talking in Class workshop in Warsaw in January 2015. European League of Middle Level Education. As part of ECIS's "Innovative Educators" initiative, Jake and Brianna have been invited to speak at the plenary session of the ECIS Annual Conference! Watch for the TiC video playing in the exhibition hall during the conference, as well. Heading to Nice, France! There will be a 2-hour Talking in Class workshop on Friday, November 20, 2014 at ECIS's annual conference. European Council of International Schools. Brianna and Jake will be facilitating a one-day workshop on student-to-student dialogue (practice and collaborative design) for a group of middle and high school teachers at ACS International School, Egham, on March 21, 2014. Feedback on the Talking in Class workshop at ELMLE's annual conference is featured in the February/March edition of their Tips for Teachers publication! American connections: TiC will join the leaders of ACS's Centre for Inspiring Minds in presenting "CIM: Project-based collaboration for school improvement" at the NAIS Annual Conference in Orlando on February 28, 2014. National Association of Independent Schools. Talking in Class will return to Berlin to work with middle school educators January 31, 2014 in a 90 minute workshop at the Annual ELMLE Conference. European League for Middle Level Education. January 22, 2014: Jake and Brianna will present on their action research methods and results to the Council of International Schools at the CIS Members' Forum in London. ACS International Hillingdon Middle School teachers will be participating in a workshop day with Talking in Class on January 7, 2014 as part of divisional professional development to enhance school initiatives. Brianna and Jake's article "Teaching talking in class: Integrating speaking skills into curricula for academic success" is featured in ELMLE's annual journal, Bridge in the Middle. Visit their website to download a copy of the journal - this year's focus is "Voices and Choices." Jake and Brianna will be discussing their student dialogue research and its benefits for English language learners at the London Independent Schools Association (LISA) Jobalike Day for EAL Teachers at ACS Egham on October 11, 2013. Talking in Class goes to Berlin! Brianna and Jake will be presenting about their work with ACS's Centre for Inspiring Minds at the 2013 ECIS Leadership Conference on April 5, 2013. Where in the world are the Talking in Class events? Up next: Amsterdam, January 2018! iBook released! Talking in Class is now available in 51 countries on Apple's iBookstore.